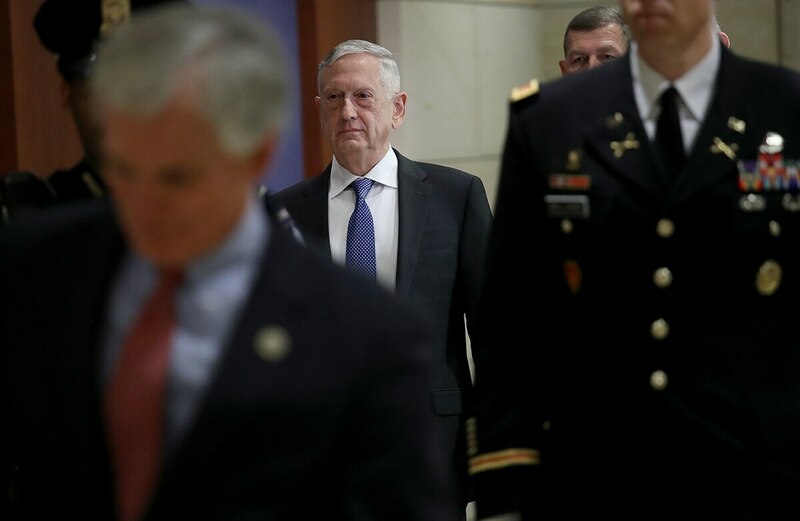 Defense Secretary Jim Mattis' resignation Thursday — and President Donald Trump’s retaliatory swifter removal Sunday — raised concerns as to whether anyone could now serve as a check on the president. “That feeling is pretty strong across the country and is legitimate,” Hagel said. From an institutional perspective, Congress is that check through its responsibilities for oversight and budget. The withdrawal of troops from Syria, however, which was reportedly the basis for Mattis' departure, and the drawdown from Afghanistan, which is popular among Trump’s base and among many troops and veterans who have questioned the need to continue the now 17-year war — Trump will not need congressional approval to execute both maneuvers, said Anthony Cordesman, who holds the Arleigh A. Burke Chair in Strategy at the Center for Strategic and International Studies. In other matters, such as ending the U.S. commitment of troops to Korea, Congress would have to weigh in, Hagel said. But for service personnel, what if they receive an order they think may be illegal? However, Trump has previously viewed alternative proposals as evidence that his top generals were not respecting his decisions or authority, such as his 2017 direction to assassinate Syrian President Bashar Assad. The incident was first reported in Bob Woodward’s book “Fear,” and independently confirmed to Military Times by a former U.S. official who witnessed the incident. In that case, Mattis simply refused to push the order forward. “[Trump] wanted to assassinate a foreign leader, which you can’t do,” the official said. U.S. Strategic Command head Gen. John Hyten said he would offer alternatives to President Donald Trump should the president want to proceed with an illegal nuclear action. Both Hagel and Cordesman emphasized that they thought it was unrealistic that Trump would make any drastic decision, such as ordering the military to execute an unprovoked missile launch. “I don’t think we are anywhere near that point now,” Hagel said. Cordesman said that in a courts-martial, between the provisions in the UCMJ and public opinion, it would be unlikely an officer or enlisted would be found guilty. Either way, it would be costly to the nation, he said. “A courts-martial with any significant number of troops would become a political nightmare for everyone,” Cordesman said. The alternative — if military personnel follow what is an unlawful order because the president ordered it — will come back on them, Hyten said.